When it comes to eating habits, we all have our vices. Some of us cannot resist a healthy snack, while others just tend to lose themselves at gatherings. Whatever your weakness maybe, it is never too hard to break a bad eating habit. Take the 3 Day Refresh Challenge to get back on the fitness bandwagon and set everything right with your nutrition. 3 Day Refresh Review: What Does Refresh Mean? 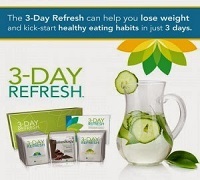 3 Day Refresh is a straightforward three day plan that will help you break away from the sneaky bad eating habit that is causing you to overeat the unhealthy stuff. 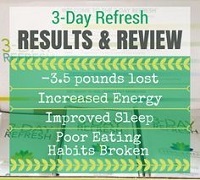 By keeping your nutrition in check, the 3 Day Refresh program is going to give you that extra push that will help you restart your routines for the better. The nitty-gritty of 3 Day Refresh cleansing system is to conquer your cravings and help you get a flatter belly, feel lighter and more energized. The 3 day Refresh will consist of shakes, a fiber drink and water for 3 days, which will be followed with fresh fruits, veggies and healthy fats to fuel your body and increase metabolic rates. When you buy the kit, it will come with 3 packets of Shakeology, 6 packets of Vanilla Fresh, 3 packets of Fiber Sweep and 1 Program Guide that will have the instructions of doing the 3 day refresh. You can choose Shakeology in any of your favorite flavor (30 day pouch with 3 Day Refresh Challenge Pack). It is recommended to try the vegan formulas (Chocolate or Tropical Strawberry) that have plant-based proteins, which are easier for the body to digest. The Vanilla Fresh shake is a high protein shake that is dairy and soy free, and Fiber sweep is a healthy digestive drink that tastes just like fruity milk. Although the 3 Day Refresh Challenge Pack is just 3 days long, but you will be getting your first 30 day supply of Shakeology which will encourage you to continue with healthy habits. Plus the 30-day trial membership in the Team Beachbody Club, will give you an insight on the other fitness programs and full coach support to get you back on the fitness bandwagon! 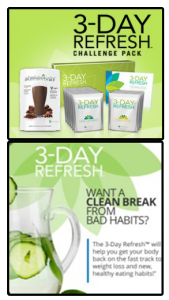 With all-natural formula system try the 3 day Refresh Challenge Pack and jump back into taking your nutritional needs more seriously while keeping most common eating afflictions under control!